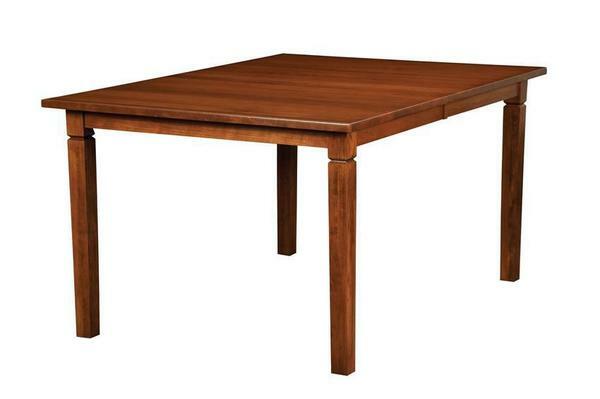 The hardwood Parkland Rectangular Dining Table has a narrow 36" Width for smaller dining room and kitchen spaces. This table is Amish handcrafted in Indiana. Please call one of our Amish furniture specialists with questions or ordering assistance on our dining room furniture. The underside of the dining table finished in the same manner as table top. Live Edge Tabletops are Available. Please call for pricing.